True rock legends distinguish themselves not only by contributing several classics to musical history, they also keep their artistic output at a permanently high level and A– despite all routine A– always have a fresh wind blowing through their band structure. 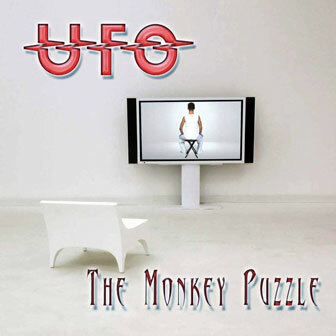 UFO fulfils all these criteria: next to classics such as Phenomenon, Force It and No Heavy Pettin, which saw the band clock up one success after the other during the Seventies, the beginning of the new millennium finds Phil Mogg, Pete Way and Paul Raymond as inspired and creative as ever. Thanks to American guitarist, Vinnie Moore, who joined the fold three years ago and proved his class and significance for the group on You Are Here, his debut recording with UFO, and the live cut, Showtime, the band has grown even stronger. Their latest release, The Monkey Puzzle, marks the return of drummer Andy Parker, who had been part of the original line-up that recorded the legendary debut at the end of the Sixties and has already played live on stage again with his old pals.